I seems like most of us (56%) would like to increase the diversity in our lives a little, which I think is good. And 31% of you are satisfied with the diversity in your life. I’ll stay positive and assume that they are satisfied with the diversity in their lives because they have a diverse group of people in their life. I am really impressed by the 13% of you that think the diversity in your life should be increased a lot. One can’t cure anything, if one refuses to recognize the need for a cure or change. Last Friday, I was in Grand Rapids for the Michigan APF (American Powerlifting Federation) meet and I took first place in two categories as well as set state records in those categories pending approval of my “record” request. 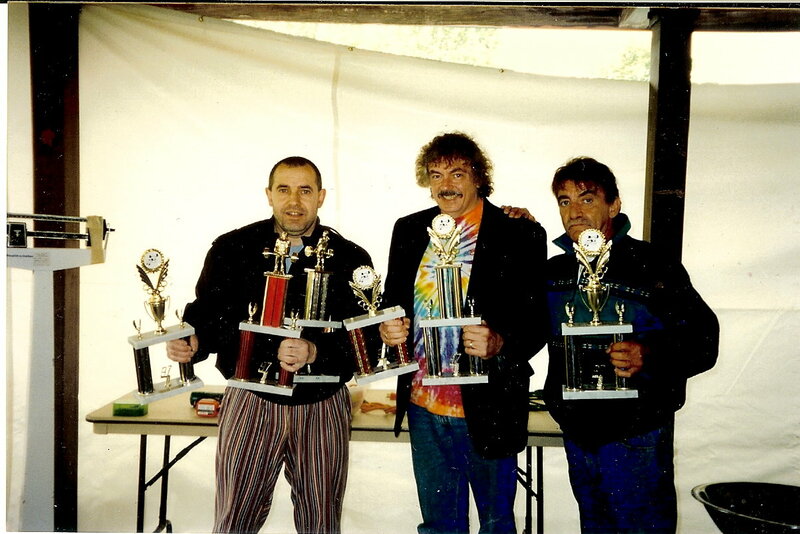 I was the oldest lifter that day, so I was in categories by myself. Notice that I said I was the oldest lifter of the day, I was not the oldest lifter in the 2-day contest. 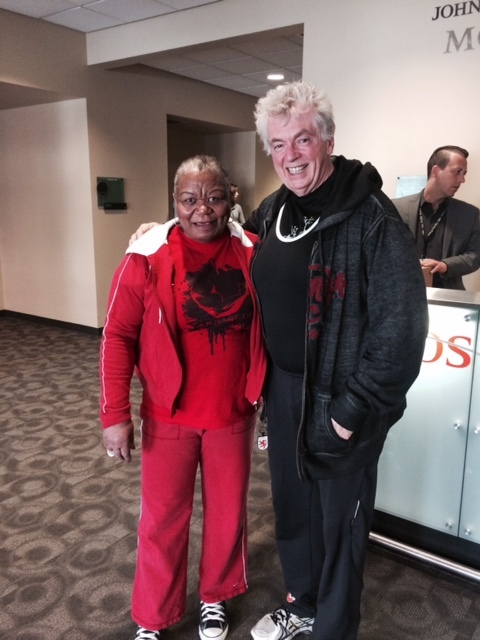 My friend Nora, who is 72 lifted the following day. So often when I mention exercise to people, I immediate hear about some sort of aliment that prevents them from exercising. Well, if Nora can power lift, you can exercise. And it you don’t exercise, visualize what you will be like at 72. It is never too late to start some type of exercise. Although I was the only one in my category, that did not diminish my pride in returning to competition–it felt absolutely fantastic and I am anxious to do better next contest. Now, you may be wondering what does my powerlifting experience have to do with this week’s theme–Friends. I would never have got into powerlifting, had I not started training with my childhood friend, Tony Mangino. I lost one of the best friends a person could ever hope to have when Tony died. 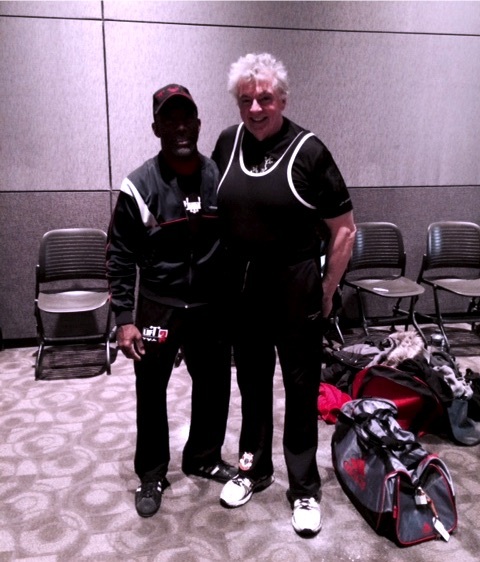 I had another good friend who was my coach and training partner, who got me to enter my first powerlifting contest. He was Walter Crescentini, the fellow on the left as you look at the photo below. In 2013, Walter died and I miss him. I work out alone today at the gym, but I still sense Tony and Walter’s encouragement. I had quit competition back in 2003 due to a shoulder injury that required surgery. 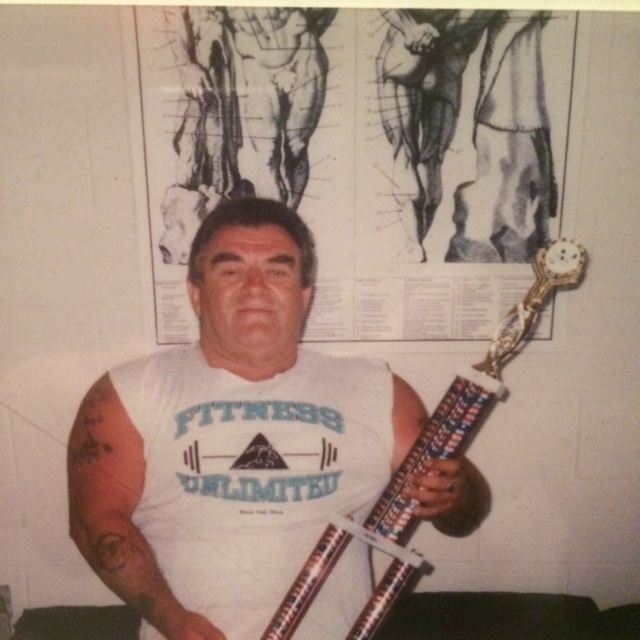 I never thought I would be in competition again, until Art Little, a most extraordinary trainer as well as all around great person, convinced me that I still had a little something left in me. I would never had been at that contest last week, if it were not for Art; nor would I have been permitted to lift had Art not rushed up and saved the day. So what does powerlifting have to do with friends. Well, friends are never jealous of your success, in fact, they encourage you to be successful and occasionally insist upon it. Sorry for reusing a joke from my book, but I just really like this joke and wanted to share it with all the readers of this blog. The next day she told her husband that she had slept over at a friend’s house. As I mentioned, a true friend is one who is not jealous of your success and even encourages you to be successful. They will even risk their friendship with you to try to stop you from making a big mistake. We may have a number of acquaintances and some we may even call friends and such people can add to our lives. But, they are not the same as true friends and one should not expect much from them unless it somehow serves their purposes and not yours. That is a fine and useful arrangement, just don’t mistake them for true friends. A true friend is an extraordinary gift that you should treasure. And it you want true friends, you have to be one. 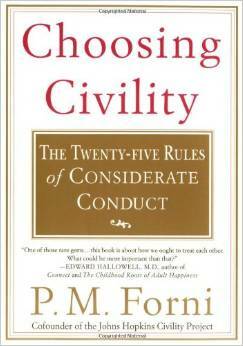 I read Choosing Civility back in 2004 and have reviewed it a number of times since then. It contains a lot of advice on connecting with people, which will help you on your quest to surround yourself with true friends. I got a kick out of watching Romy and Michele’s High School Reunion and believe you also enjoy this very funny film. If you like what I am doing, I need you to show your support by passing this blog on your friends, and liking my Facebook page Harmony Books & Films, LLC. Currently, 32 of you have been kind enough to like my Facebook page. Also, you can help me make this blog more valuable to others by posting your perspectives via Leave a Reply. My last post, I received one comment–it was from my wife Carol. Thank you Carol. So far, I have received one review. Thank you Judith. I find it amazing that 13% of you have been to 11 or more countries and that another 52% of you have been to three or more countries. For those of you that haven’t traveled much, if you are physically able to do so, I urge you give it a try. As you know, I’ve been in Spain for a little while and didn’t return to the U.S.A. until Wednesday. 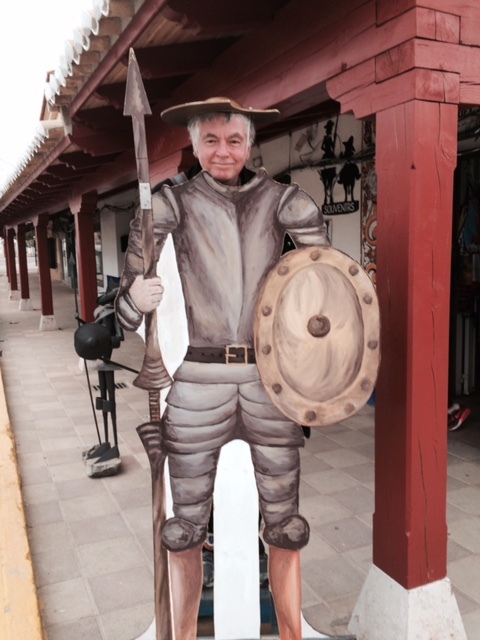 Travel certainly has a impact on a person, for example below is a photo of me when I first arrived in Spain. And the photo below was taken towards the end of my trip. Rui managed to get us on another plane home, when the Lufthansa Airline pilots went on strike the morning of our scheduled departure. So this week’s post is dedicated to “Diversity” in all the many forms that it may take. What’s the difference between a tornado and a redneck divorce? It has been said that we don’t see the world as it is, but as we are. So if you want to broaden your perspective, you need to enlarge your circle of friends to include people different in any number of ways from yourself. This will result in your growth, because every interaction leaves a trace on you. 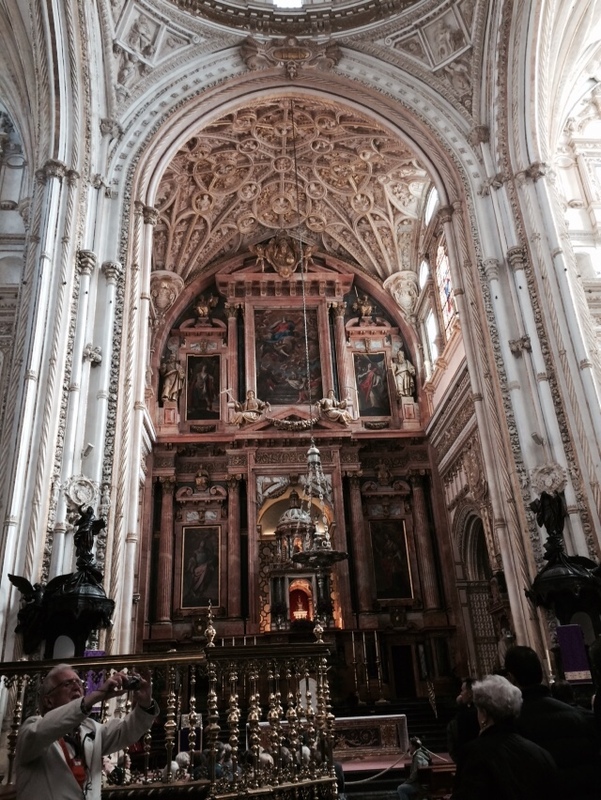 When I was in Cordoba last week, I visited the “Mezquita de Cordoba”, which was once the largest masque in the world. During the 16th century, it was turned into a cathedral. The site is believed to be originally a temple to the Roman god, Janus. Those columns in the above photo are reclaimed Roman columns gathered from various places to build this mosque. 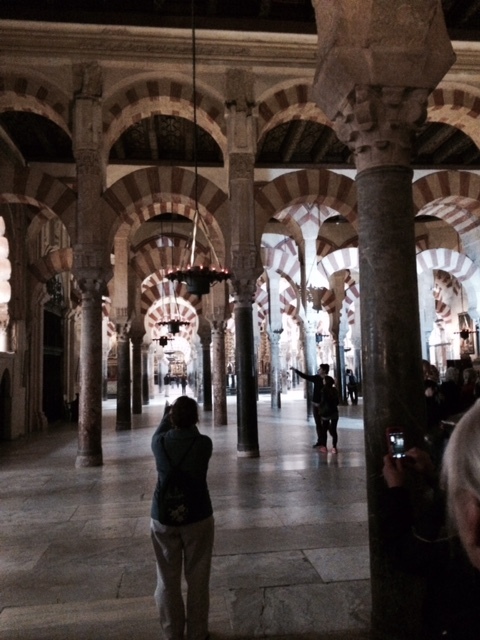 After the re-conquest of Cordoba, in the center of the mosque was built a beautiful cathedral. 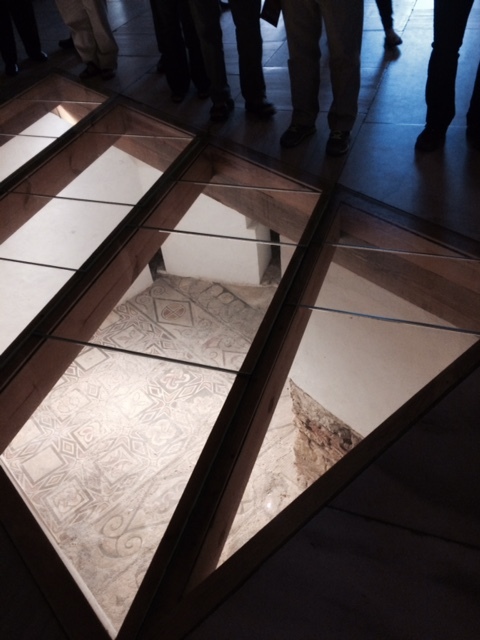 As we were walking about this beautiful and inspiring structure, we came to an area where the floor was removed so that you see below to a place of worship that was created by the Visigoths who seized Corboba in 572, I believe from the Romans. How I look at all this is that a diverse group of people, unwillingly of course, each contributed to something marvelous. Just imagine what people could create if they would put their differences aside. 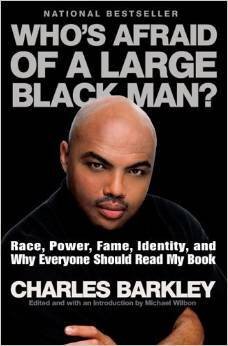 I’m really not much of a sports fan, but I read Charles Barkley’s book back in April 2006 and have reviewed it a number of times over the years. I found it to be an enjoyable book to read and contains many insights. 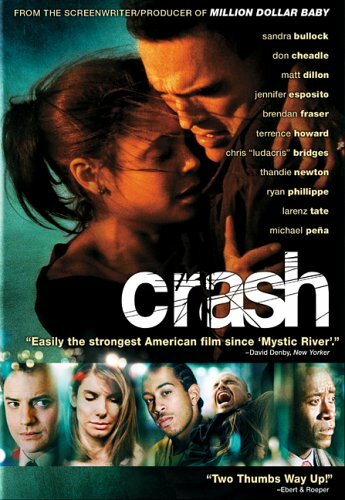 I still think Crash is one of the best diversity films I have ever watched, but if you know of a film that represents diversity as well or better, please let all of us know about it by commenting. If you like what I am doing, I need you to show your support by passing this blog on your friends, and liking my Facebook page Harmony Books & Films, LLC. Also, you can help me make this blog more valuable to others by posting your perspectives via Leave a Reply. 0% percent of you expected to be dead–of course if you died before taking this poll, you probably would not have participated in the poll. 5% of you are or expect to be rich–extraordinarily well done. 90% of you are or expect to be financially & physically independent–the goal. 5% of you are or expect to be working–excellent, so long as you find joy and meaning in your work. 0% of you are or expect to be dependent–which is why I believe those of you who take this poll are an extraordinary group. I am writing this blog as I travel through Spain, visiting Madrid, Toledo, Granada, Serville, Cordoba y Barcelona; so what better theme for this week’s posting than Spain. 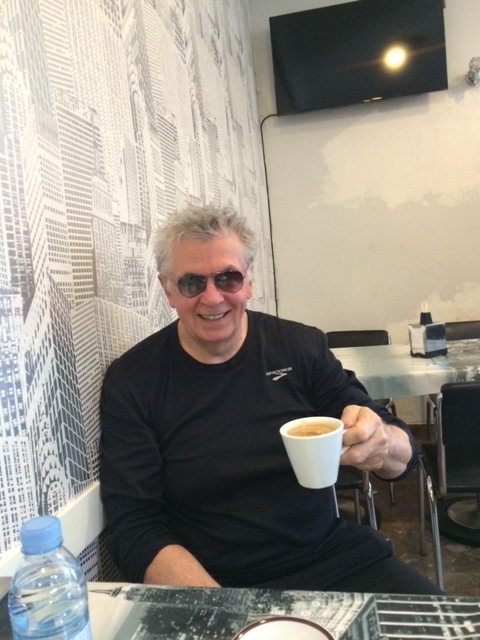 And if you are following along in my book, it is Week 48: Travel – see Your Country as Well as the Rest of the World..
An American touring Spain stopped at a local restaurant following a day of sightseeing. He noticed a sizzling, scrumptious looking platter being served at the next table. When it comes to money, you can either spend it on things or spend it on experiences. I suspect you will find that the more things you own, the more those things end up owning you; since they require your attention in so many different ways. If you do decide to travel, you may want to occasionally visit some place you have never been to before. There is nothing like seeing a place for the first time to give you that childhood sense of amazement. My book is again available on Amazon as work continues turning it into an ebook. I expect the eBook version will be available in about a week. 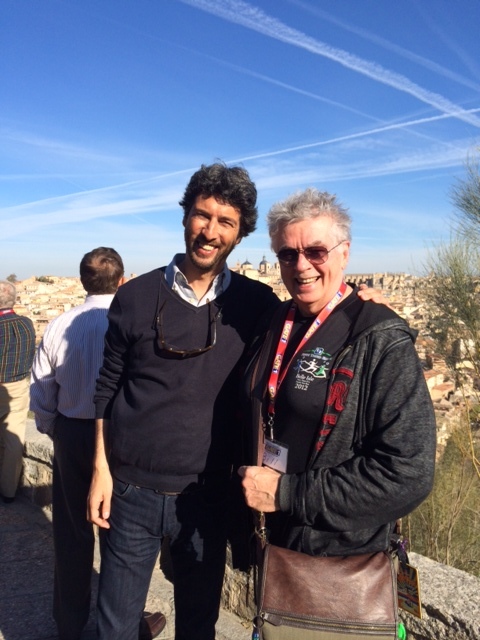 As I listened to our tour guide, Rui Miguell, describe Cervantes’ book about Don Quixote, and how it is as relevant about the human condition today as it was when Cervantes wrote in the early 1600s; I realized I have once again encountered an extraordinary individual. 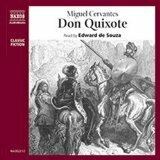 I have listened to the book years ago on cassette tapes, but after hearing Rui talk about the book as we were traveling across the land once roamed by Don Quixote, I feel I should actually read the book or at least listen to it again. Since this week’s theme is Spain and I am ending my tour through Spain in Barcelona, what better movie to suggestion than the one that initially inspired me to visit Barcelona in 2013. Below is the IMDB description of that movie; Vicky Christina Barcelona. “Without new experiences, something inside of us sleeps. I continue trying to make this blog better in hopes that you will like it enough to pass it on your friends. You can help me make this blog more valuable to others by posting your perspectives via Leave a Reply. Also, if you like this blog, please show you do by liking my Facebook page Harmony Books & Films, LLC. What a surprise, it seems that 70% of you watched the show when it was originally aired. Also, I understand some of you got a kick out of my putting the book, Baby and Child Care as an option. 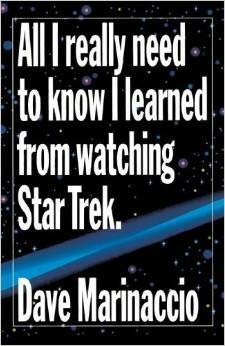 And again, if you are looking for a fun and easy to read self-help book, I strongly suggest Dave Marinaccio’s book, All I Really Need to Know I Learned from Watching Star Trek. I was reading an article in USA Today (3/4/15) and was shocked to read that one in four retired Americans have no source of income beyond Social Security. It is unlikely you are going to be extraordinary in your retirement years if all you have to live on is social security. In fact, you will be lucky to be ordinary. A young man asked an elderly rich man how he made his money. There are two avenues to a comfortable, if not extraordinary retirement. One is to earn a lot of money, the second and most certain way is to save and live below your means. There are many good reasons why you can’t save right now–SAVE REGARDLESS. There are also many noble reasons why you must tap into your savings–DON’T DO THAT. As I mentioned in my book, I came across the following very early in life and it made such an impression on me, that I have retained it all these years. Hopefully, it will also make an impression on you. My book is again available on Amazon as work continues turning it into an ebook. I expect the eBook version will be available in about two weeks. 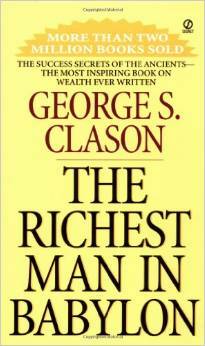 The book I am recommending this week, I read a long time ago and have given it to a few people I wanted to help. It can be obtained from Amazon for practically nothing. Below is a Wikipedia description of the book. 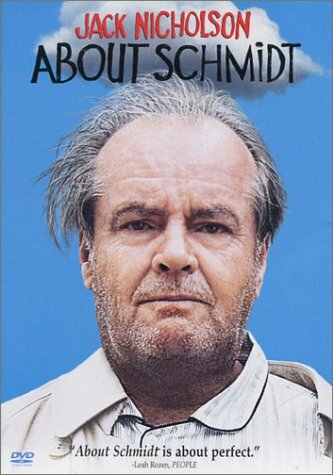 Since this week’s theme is retirement, I thought a movie about a recently retired guy would be appropriate. Retirement is a great opportunity to become the person you have always wanted to be—but have never been. Any public or private feedback would be most welcomed. By now, you as well as every one else, in all the various universes have heard of the death of Spock (Here on Earth, sometimes referred to as Leonard Nimoy). 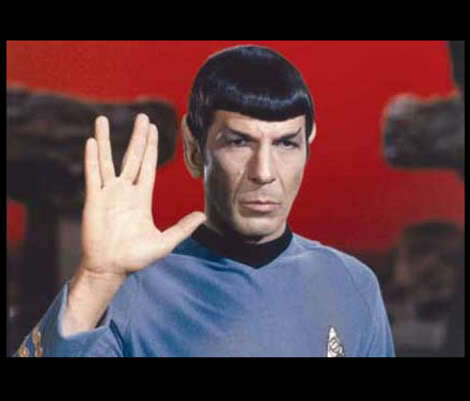 Spock was without doubt one of the most extraordinary persons to have ever existed. It has been 20 years since I first acquired I Am Spock by Leonard Nimoy on cassette tapes and I listened to it again in 2006 and finished listening to it again today. 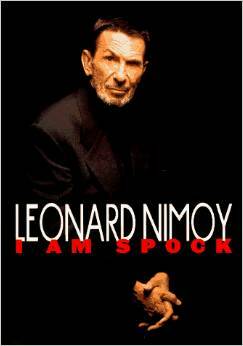 It is a 4-hour journey into the life of Leonard Nimoy and Spock. I thought listening to Leonard Nimoy read the book, I Am Spock was a great way to honor these two extraordinary individuals. If you read the book or listen to the tapes, you will know why I refer to them in the plural. I think it is wonderful that 75% of you engage in some type of exercise, but on the other hand I am worried to think that 25% of you don’t really exercise. I wish I knew how to convince you that just a small investment in your health would add years to your life and life to your years. How many Vulcans does it take to screw in a light bulb? 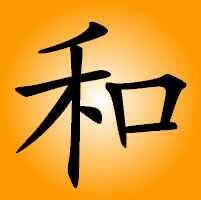 Start the day mindful that this could be your last day and act accordingly. Also be mindful that today could be the last day of someone you come in contact with so again act accordingly. You will find for the moment, my book is listed as out of print on Amazon. That is because I am in the process of turning it into an ebook. I hope to have my book as well as the ebook available soon. 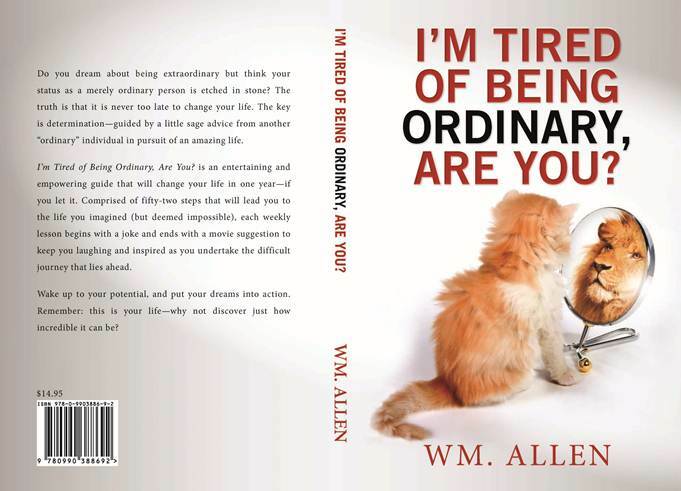 I have copies of the book, if you would like to purchase one and don’t want to wait until it again becomes available on Amazon. There are many who think Star Trek II The Wrath of Khan was the best of the Star Trek movies. And if you are old enough to like fine “corinthian leather“, this movie stars Ricardo Montalban. Each week I keep trying to make this blog better in hopes that you will like it enough to pass it on your friends. Also, if you like this blog, please show you do by liking my Facebook page Harmony Books & Films, LLC. And for those of you who have read my book, it you would care to comment about the book on Amazon that would be most welcomed.